Set in the beautiful North Essex village of Finchingfield, the Post Office and stores offers a traditional village shop experience. 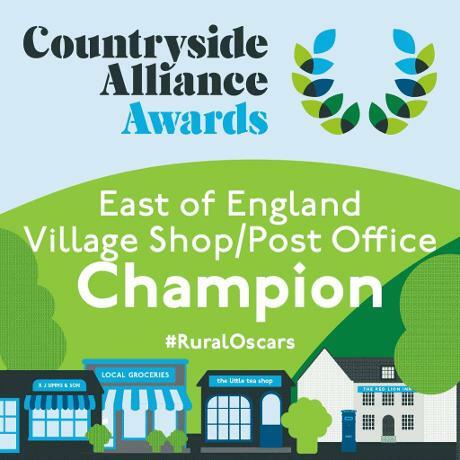 We are independent of chains and multiples and we specialise in fresh local produce - which we source from local farms and producers from across the East Anglian region. In addition to everyday grocery essentials we stock products that are hard to find in supermarkets, such as our award winning beef and pork or our locally produced artisan gins. We also stock newspapers, pet foods, stationery,greeting cards, and alcohol. We have freshly made local sandwiches and pasties and we have hot coffee in the winter and ice creams in the summer. We also find room to display locally made arts and crafts. Our Post Office is a 'Local - Plus' branch which means we can do most of the transactions that the larger 'Mains' branches can do, such as everyday personal and business banking, bureau de change, and all main posting services.